Congratulations for having your work accepted for our Seventh Annual Art and Earth Juried Exhibit. Your work must arrive at the gallery between June 19 and June 25, 2017. For hand-delivered work, the delivery dates are Wednesday, June 21 through Sunday, June 25. The gallery hours are Wed-Fri 11-5, Saturday 11-4. We are normally closed on Sunday but we will open the gallery between 12 and 3 to receive hand-delivered artwork. Shipped work must arrive between Monday, June 19 and Friday, June 23. 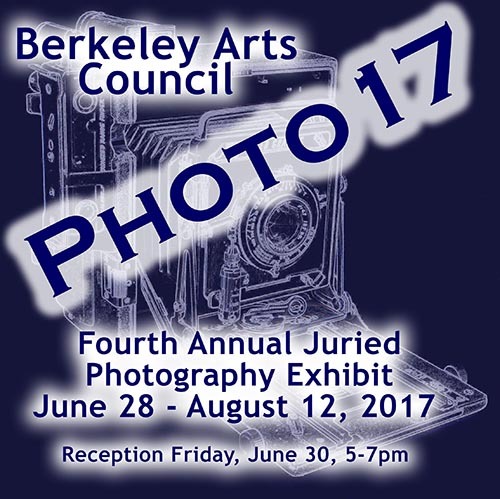 For important information about shipping your work to us, please follow this link: http://www.berkeleyartswv.org/shipping-information.